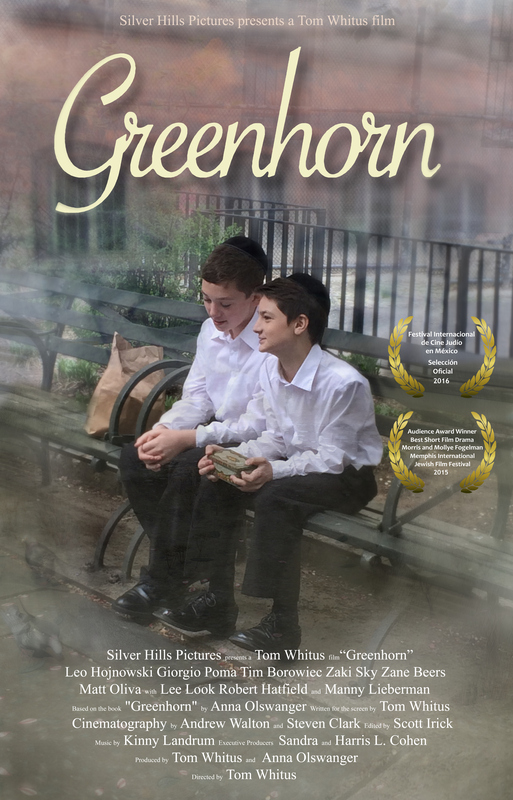 We will be screening two films about survivors of the Holocaust: "Greenhorn", adapted from the book by our very own Anna Olswanger, and "Schindler's List Survivor", an account from Schaja Kleinberg, grandfather of our very own Mickey Blumenfeld Weisberger. Directed by Tom Whitus and adapted from the book of the same name by our very own Anna Olswanger, Greenhorn is based on a true story. In it, a young Holocaust survivor named Daniel arrives in 1946 at a Brooklyn yeshiva to study and live. He is befriended by Aaron, a boy with a stutter, and the two of them stand up to the bullies who make fun of them—Aaron because of his stutter and Daniel because of the small box (with its terrible secret) that he won't let out of his sight.​ Greenhorn was made possible through the generosity of several Darchei Noam families. Survivor Schaja Kleinberg survived the holocaust and was saved by Oscar Schindler. Take a glimpse of his life and how he survived the war. Take a close look at what his life stood for and what his legacy will always be known for. Narrated by Malka Blumenfeld, mother of our very own Micky Blumenfeld Weisberger. Need Hospitality in Fair Lawn? Visiting Fair Lawn and need a place to stay? We are happy to match you with a welcoming host and comfortable accommodations near our shul. Would you like to sponsor a kiddush or have a simcha or event at Darchei Noam? Sign up to make meals for families who have brought home a new baby. Please do not send mail or checks to the shul building. To receive the bulletin and community announcements, please create an account by clicking "My Account" in the top menu and completing your profile. Support Darchei Noam with a "Smile"
Shop at smile.amazon.com. Same great Amazon prices and service—and Darchei Noam benefits, too. Honor your loved ones. To arrange for a memorial plaque on our Memorial Board, contact Moshe Glasser at maglasser@gmail.com. Volunteers are needed to do bikur cholim to patients and their families at Valley Hospital, which is not serviced by the Bergen County Bikur Cholim. To volunteer, call Sheila Weinberg at 201-797-0493.